I really like summer and as a scuba diver I like a lot thins what are under water. I’m not routinely in the basement, just when I need to take up a bottle of wine or something out of the freezer. Until last week our basement was poorly equipped by IoT, the only one what I do is that I measure the power consumption of the freezer. But that exactly saved me from more damage, I was alerted because the freezer started to consume 100 watt instead of the usual 45 watt. So I decided to sight what is wrong. 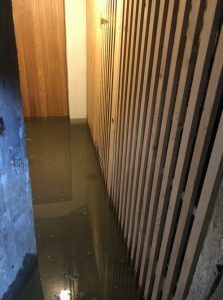 The basement was already flooded with 40cm of water. 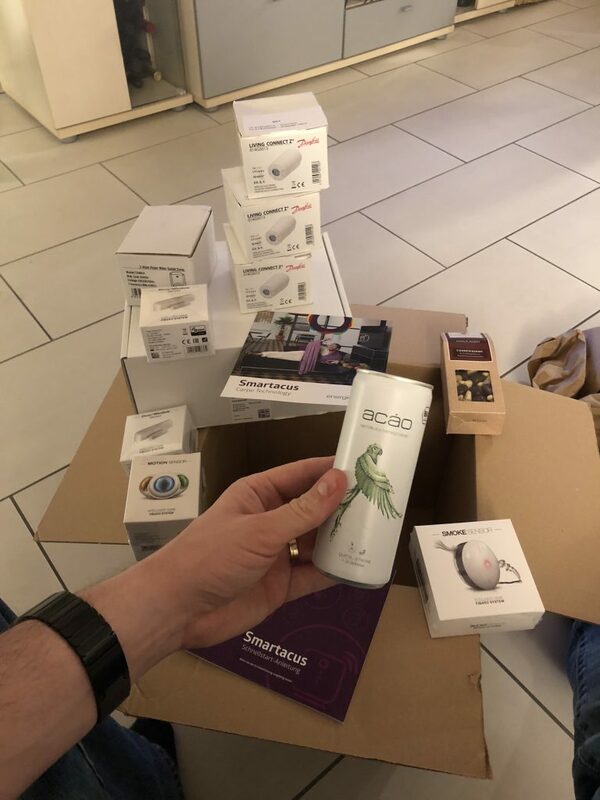 Now I’m prepared for the future, I have installed now a Fibaro Flood Sensor and integrated to my Smartacus Smart Home System . Now I can see earlier when water comes into the basement and I have the chance to power off the freezer and to alert somebody to exhaust the water. The installation of the leak sensor with smartacus is pretty easy. I learned, when a Smart Home System is present – it definitely makes sense to have sensors for all possible issues. 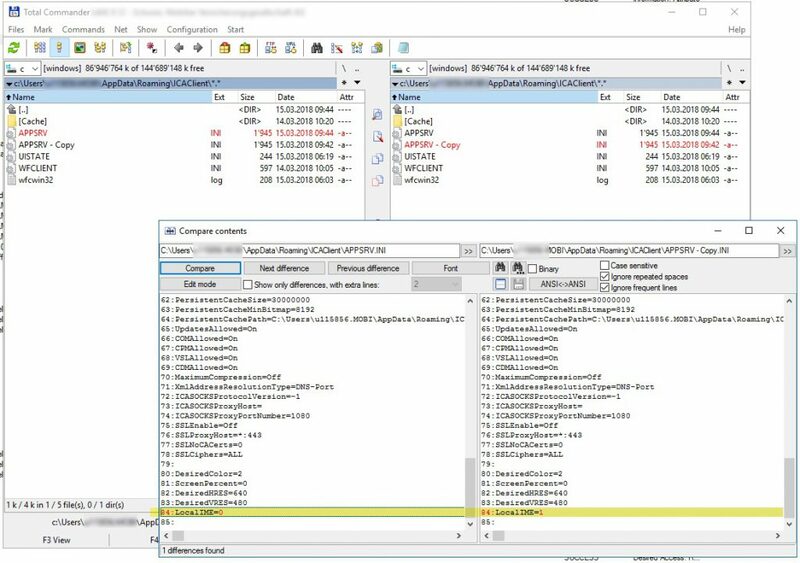 In Citrix Receiver 4.11 there is a new feature for Improved Control Over the Remote Language Bar for Seamless Published Applications (See https://support.citrix.com/article/CTX231913 ). This is especially for us here in Switzerland nice and important as we have four official spoken languages and also different Keyboard layouts. There is German, French, Italian and Romansh. Romansh is more or less neglected but beside German the languages French and Italian play a significant role. As I plan to roll out the Receiver 4.11 in my company, my aim is to keep the possibility open for the user for configure that on receiver, but I want to have a pre-defined setting. By the way, earlier we always hid the Language bar by making use of the SeamlessFlags (on server side). But I experienced that this had in Server 2016 a negative impact to the logon time, don’t ask me why … But it’s a fact and i’s reproducible so I keep the Language bar visible and now I’m very happy that this is configurable in Receiver. The configuration of this both features is is described here https://docs.citrix.com/en-us/receiver/windows/current-release/improve/keyboard-layout-and-language-bar.html and it’s possible to hide this Advanced feature with a reg Key. So if you want to configure this for all users you need to “patch” the AppSrv.ini to set the local Keyboard and/or Adjust the reg key above to disable the Language Bar on receiver side. 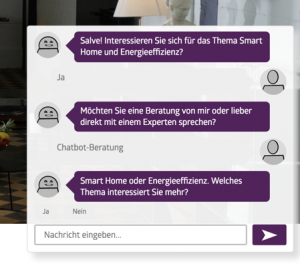 Ich habe mit der Smart Home Geschichte angefangen, weil ich es spannend finde zu sehen was möglich ist, meiner Frau verkaufe ich es natürlich als Komfortverbesserung. Achtung! 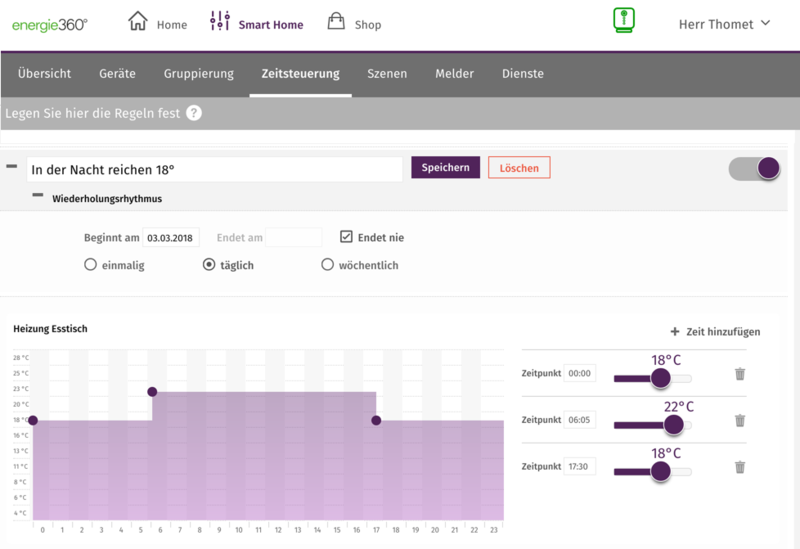 Mit einem falsch eingesetzten Smart Home lässt sich im Übrigen auch genau das Gegenteil erreichen! Ein nicht gut konfiguriertes System kann den Komfort verschlechtern, die Sicherheit reduzieren oder auch mehr Energie verbrauchen. Hier ist es wichtig zu wissen was man macht und welche Produkte man einsetzt. Ich verzichte zum Beispiel absichtlich im Moment auf eine smarte Türöffnung wie es sie z.B. von Nuki gibt. Auch messe ich den Stromverbrauch meiner Komponenten bevor ich diese integriere. 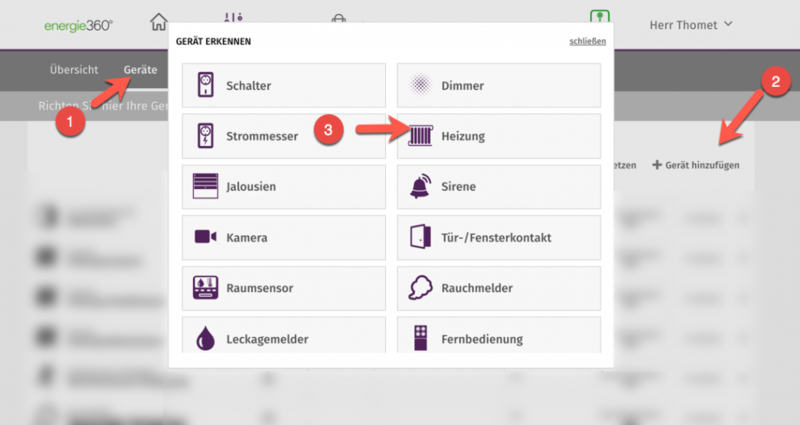 Die Smartacus Basisstation braucht zum Beispiel nur 7 Watt beim Start und 4 Watt im Betrieb. 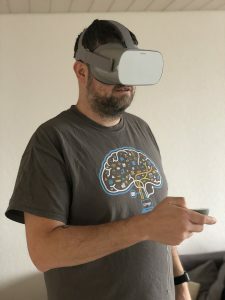 Aber nun weiche ich vom Thema ab … eigentlich wollte ich in diesem Blog-Post Beispiele bringen wie Smartacus eingesetzt werden kann. 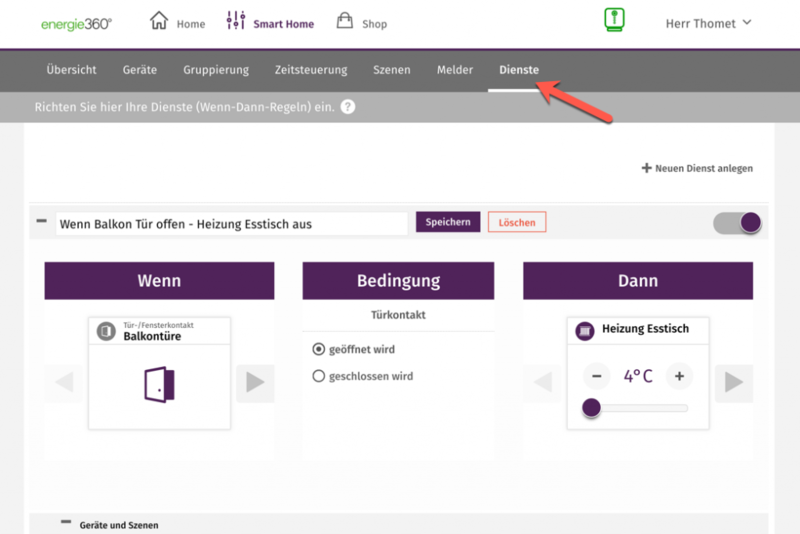 Natürlich sind diese Anwendungsfälle auch auf andere Smart-Home Systeme anwendbar. Wer braucht 22° wenn er schläft? Ist es nicht Schade wenn in der Nacht die Wohnung stärker geheizt wird als nötig, bei tieferer Temperatur schläft man nicht nur besser sondern man spart auch Energie! Hier erreichen wir sowohl den Energiespar-Effekt wie auch die Komfortsteigerung. Zu realisieren ist das Ganze im Smartacus Portal via den Reiter Zeitsteuerung. 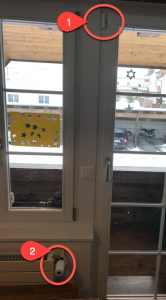 Auch wird viel Energie verpufft, wenn man Fenster oder Türen öffnet, gerade jetzt wo wir Temperaturen weit unter dem Gefrierpunkt haben, dreht die Heizung voll auf wenn es rapid Kalt wird. Natürlich muss man dran denken auch einen “Gegendienst” zu bauen welcher bei Schliessung der Tür die Heizung wieder auf die Wunschtemperatur stellt. Früher habe ich Weihnachts-Beleuchtung einfach mit einer mechanischen Zeitschaltuhr dazu gebracht nur am Abend und am Morgen zu leuchten. Ein smarter Zwischenstecker (3) lässt sich zwar wie eine Zeitschaltuhr konfigurieren und man erreicht damit dass Weihnachtsdeko nicht für die Katze leuchtet, aber toll ist das man es Beispielsweise mit einem Multisensor (4) erweitern kann und somit die Beleuchtung auch abhängig von Helligkeit oder Bewegung steuern. So kann jemand um 02:00 in der Nacht an unserem Balkon vorbeilaufen und der Leuchtende Stern geht auch für diesen Nachtschwärmer an. Dieser Winter war wieder besonders kalt und letzte Woche als bei uns eine Aussentemperatur von -14° Celsius herrschte ist es wieder passiert, uns sind im Keller die Wasserleitungen zu gefroren. In unserem alten Haus, welches ein umgebautes Bauernhaus aus dem letzten Jahrhundert ist, lässt sich dieses Problem leider nur durch jeweils kurzfristiges elektrisches Heizen lösen. Im Keller gibt es keine Möglichkeit anders zu heizen. Eine leider sehr ineffiziente und verschwenderische Lösung. Zum Glück reicht es, wenn wir im Keller eine Temperatur von 4-5° erreichen, das Problem ist dass sich die im Haushalt gebräuchlichen Elektroöfen nicht auf 4° einstellen lassen, die Skala beginnt irgendwo bei 15°. Mit dem Multisensor (4) und einem smarter Zwischenstecker (3) lässt sich auch dieses Problem lösen und wir können unseren Keller auf 5° heizen. Beside of Citrix and virtualization topics I had already Smart Home and IoT topics in the past here on this blog. You can find posts about smart switches and bulbs or about a smart switch combined with the LaMetric smart watch. 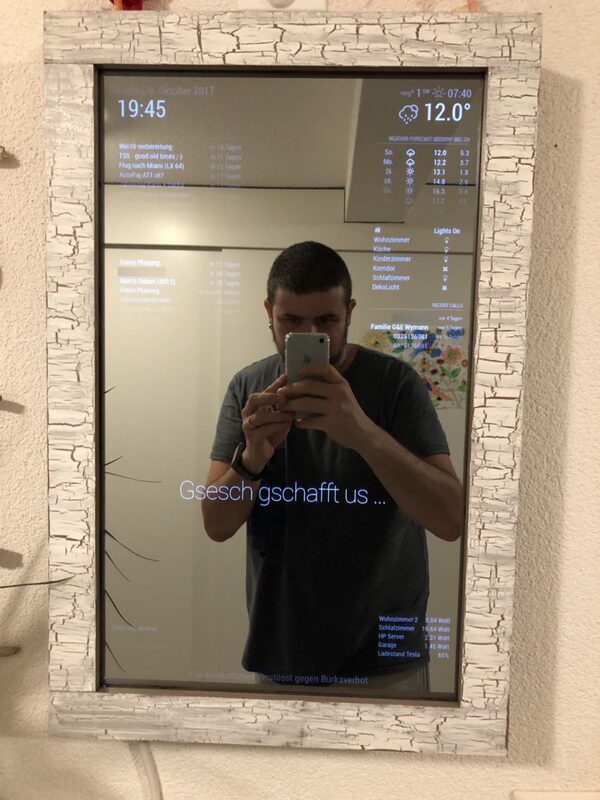 Recent weeks I wrote about my smart mirror and about Home Assistant, both are projects which require advanced IT knowledge and are only interesting for people with according skills and time for a DYO project. REST and Python should not be unknown words … Often I was asked “Sacha can you please also build this for me?” I have a full-time job, I have a family, I’m active for the Citrix community and sometimes I work in my free time as a Scuba Diving Instructor. So, I’m pretty engaged and I cannot spend time to do this for others. But in my opinion, everyone should have the possibility make his home smart. Some weeks ago, Smartacus has come to my attention. This complete solution is pretty similar like the Home Assistant which I blogged about last week, it combines different components to one place. Smartacus is a product by Energie 360° and is developed for the market in Switzerland. Compared with Home Assistant is Smartacus a commercial product for End-users, which don’t have the time or skills for a DYI project. 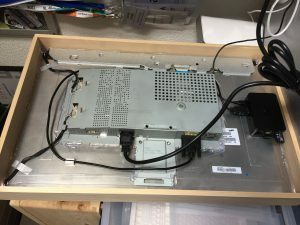 In December, I received my Smartacus Start package, in this post I write about the chosen components, the Unboxing and putting into operation. It’s possible to choose predefined packaged from Smartacus or to build an own individual set. Basically a Smartacus-setup consists a central unit and one or more sensors and “actors”. The central unit has connections to the local components and is connected to the “Smartacus-Cloud” in the Internet. But now I’m already way to technical, Smartacus is for End-users which won’t know too much about the tech. If somebody don’t know what he need, it’s possible to talk with the Chatbot on the Smartacus web site. The Chatbot will help to choose what you need and fill up the shopping basket. A nice example how a Chatbot can help. In reason, I don’t have a photovoltaic system and I’m living in a rented apartment I decided to start only with the radiator thermostat system and some added components. This System would be definitely thrilling in an owned house with a photovoltaic installation. To put the central unit in operation is an easy thing, just plug in the Ethernet cable to the switch or router, plug in the power cable in – and the physical installation is done. After the Smartacus central unit is online you can login to the portal and configure your setup, the system will guide you through all steps. I was in doubt to have another central unit in my network, I have already one for my Philips Hue and one for my WirelessTags. I thought another new device which needs power… but this time I was positively surprised, it consumes 7 Watt on start-up and 4 Watt in normal operation. The integration of new devices is simple, on the portal the binding of a new device is handled in three steps. The action which has to be done on the device is explained on the portal. Formerly I had already radiator thermostats from another manufacturer, but those I removed after I found out that already a slightly touch demolish the installation. 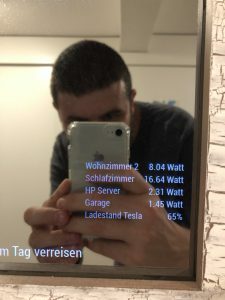 After my smart mirror project which was exciting, I can still only see the values of the integrated sensors on the mirror. The problem that I can’t control my smart devices from one place still exists. The conglomeration of smart devices in my home is very various, I need to work with something which is open for almost everything imaginable. On Facebook I saw a post of an acquaintance who adverted for Home Assistant (home-assistant.io). Home Assistant is an open-source home automation platform running on Python 3. Track and control all devices at home and automate control. Perfect to run on a Raspberry Pi. Hass.io (Home Assistant) is still in development but works already good. I’ve started with version 0.48 or so and now in December 2017 we are on 0.60. First I started with Hass.io on a Raspberry Pi 3, but then I’ve upgraded my Synology NAS and the new one is able to run Docker, so I moved my Home Assistant to a Container on my NAS. 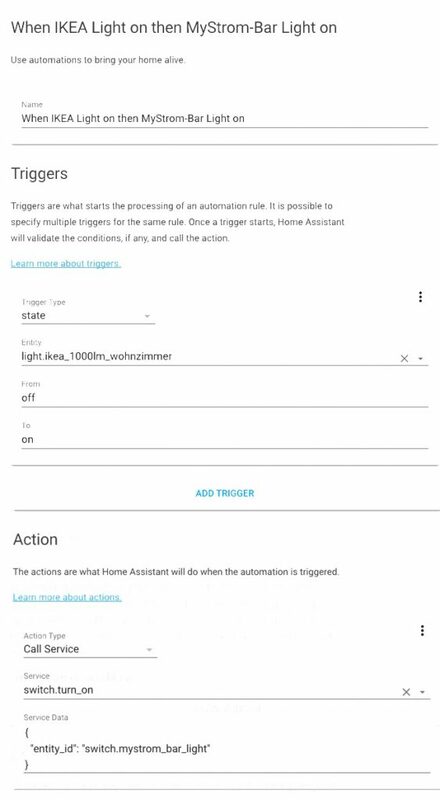 I don’t write here now a post how to install and run Home Assistant, that you can find in Getting started on hass.io, the intention of this post is a short Intro for Home Assistant with some hints for the practise. 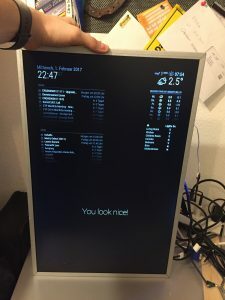 For Hass.io there is also a mobile app, you can use the App if you are in the same network like your Home Assistant server or you have a VPN connection in this network. It’s also possible to expose the server to the internet, it contains all you need for that like duck dns and Let’s Encrypt. But I won’t do that for security consideration. Some Devices in my Network which can started with Wake on Lan. Before I used Home Assistant I automated some of my smart devices with IFTTT, with hass.io I can now do that “On Premises”. If my UniFi controller don’t see any Wifi Mac address of the mobile phones of my family members, the automation “Away-Mode” turns on. This procedure powers off some Smart Plugs, bring my Sonos Player to pause, and all Hue lights will be turned off. In contrast to IFTTT it’s possible with hass.io to combine things almost indefinite. It’s possible to define so called Conditions. If you try Home Assistant and you starting to create and modify your *.yaml files, really use a text editor which show you invisible characters! Python is very fussy for syntax errors even when only an invisible character. Make backup from your files before you modify it, this can help to avoid some frustration. If you intend to add a MyStrom Smart Button, I found out that this doesn’t work currently if your Home Assistant Web GUI is protected with a password. A big benefit of Home Assistant is that it’s an open system with a large developer community, there are many components integrated and it’s possible to integrate by your own. The downside of Home Assistant is that’s currently not yet a solution for an Enduser without any IT skills. More and more it’s now configurable via Web GUI but without any IT knowledge it’s impossible to manage it. A short preview for my third Smart Home article, I will show you something which is also usable for End-Users without IT Knowledge. I know the readers of my blog are mostly IT Pro’s but I’m sure you have also friends who want to play the Smart Home game and have no clue how to start.